Industrial cleaning is not for the faint hearted and it’s definitely not something that should be undertaken by anyone other than a team of industrial cleaning professionals, especially when sewage waste or harmful chemicals are involved. Completing a high quality industrial clean requires the use of specialist equipment, expert management and a great deal of experience. Without this, it’s almost impossible to complete industrial cleaning to the standard a business requires. Plus, there’s a lot of thorough planning involved to keep risks to a minimum. Luckily, at Mantank, we’re able to take care of everything. 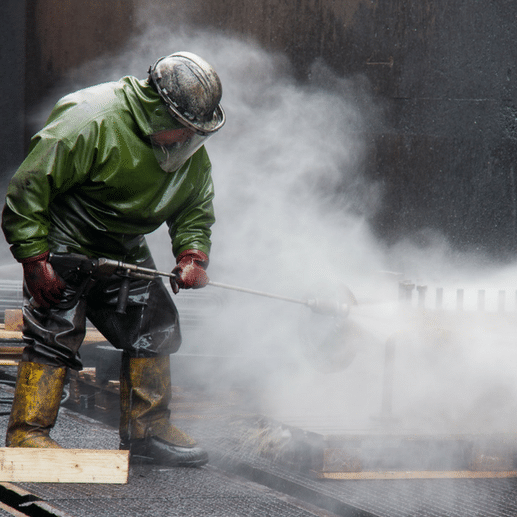 When it comes to industrial cleaning, it’s important to enlist the help of an industrial cleaning contractor. Not only does this ensure everything is taken care of by a team of professionals who really know what they are doing, but it allows you to relax knowing your industrial cleaning needs are in safe hands. There’s no need for you to worry about industrial cleaning, as the responsibility can be handed over to those in the know. However, choosing between the different contractors can be daunting and it isn’t always straightforward. After all, how are you to know who will offer the very best service? A lot of industrial cleaning contractors offer similar services to the services we offer here at Mantank, but we’re confident in our ability to offer an unmatched service. We understand that all businesses are different, which is why we focus on ensuring our industrial cleaning services are completely bespoke. With so many different industries and types of businesses to consider, there’s no reason as to why two businesses should have to settle for the exact same industrial cleaning service. Simply, it wouldn’t work. At Mantank, we take the time to get to know your business before creating solutions that work well for you. We guarantee industrial cleaning solutions based on your business’ needs and requirements, objectives and goals. We also work hard to take the environment into consideration, including the surrounding areas and the project site itself. We understand the importance of industrial cleaning and it isn’t something we take lightly. In fact, everyone at Mantank is dedicated to providing an expert industrial cleaning service to all of our customers, at all times. At Mantank, we are able to offer a full range of industrial cleaning services to our customers. This means we’re able to take care of everything, whatever the problem. We develop bespoke solutions based on exactly what you need. Whether you’re in need of standard cleaning or something a little bit more unique, the Mantank team are on hand to help in any way you need us to. To find out more about finding an industrial cleaning contractor, get in touch. Contact the Mantank team today on 0161 799 3337 or 01642 618006 and speak to an expert. Alternatively, get in touch online.